We are an independent mid-sized company offering highly specialized testing and engineering services for all industries. Our range competently assists all developers and manufacturers from the beginning of product development to quality inspections during production and maintenance over the course of the product’s life cycle. We are comprehensively accredited for testing in the environmental, fire test, and materials laboratories. RST GmbH was founded on 1 April 2003 as the Bombardier Transportation group spun off its quality assurance testing laboratories. Work at two locations. The fatigue laboratory and the fire test laboratory were at Berlin Grünau, and the environmental, materials, and calibration laboratory was at Hennigsdorf. In 2006, the fatigue laboratory was sold to IMA Materialforschung und Anwendungstechnik GmbH in Dresden, and the fire test laboratory was moved to the extra space in Philipp-Pforr-Straße in Hennigsdorf. The fire test laboratory was expanded step-by-step, as was environmental and special testing at the Philipp-Pforr-Straße location in Hennigsdorf. In 2009, the calibration laboratory was sold to Exova METECH GmbH. 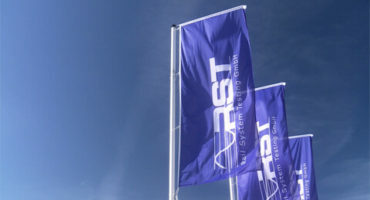 RST GmbH narrowed its focus to environmental, fire, and materials testing. In April 2014, the three laboratories, which had hitherto been separate, were consolidated at the new company location at Walter-Kleinow-Ring 7 in Hennigsdorf.